Make sure your thermostat is set to at least 60 degrees, even if no one is home. 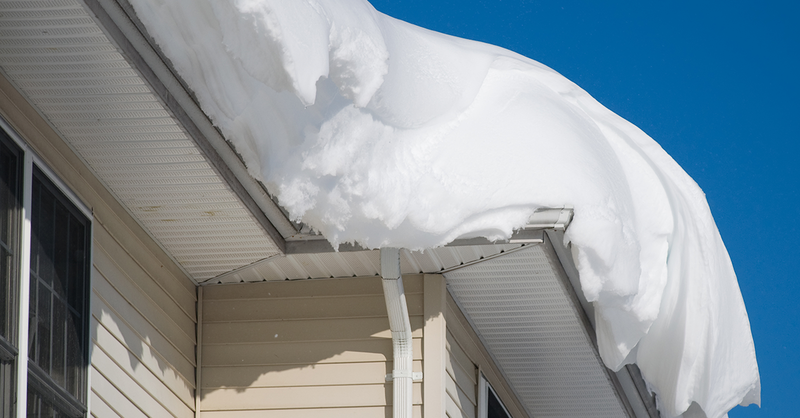 After the snowfall, use a roof rake to clear at least two feet behind your gutters to prevent ice dams. When the high temps for the day are below freezing, be sure to keep your faucets dripping slowly to prevent your pipes from freezing. Fill old nylons with calcium chloride (NOT sodium chloride!) and lay them across your gutters. They will melt the ice and safely drain water off your roof. Strong wind and heavy snow often result in dangerous down trees and power lines. Never attempt to clear debris near damaged electrical components. Always wait for any electrical hazards to be removed professionally before proceeding with the cleanup process. 24 Restore is the preferred restoration services partner of commercial & residential property owners across New England. Whether you’re dealing with an emergency situation, or just simply need help implementing a sound Disaster Response Plan, we’re available to help. Contact 24 anytime, day or night, for help with tree removal, tarping, board up or other storm related damage.